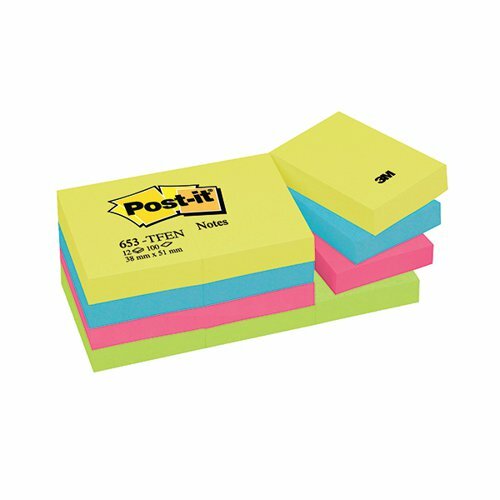 3M Post-it Notes Energetic Colours. Invaluable sticky notes for messages and notes. Colours - 3 x Neon Yellow, 3 x Ultra Blue, 3 x Fuchsia, 3 x Neon Green.